This is based on the true story of one of the "Lost Boys" of Sudan. One of the stories takes place in 1985 and another in 2008. Themes include survival and making a difference in the world. Aimed at pre-teens/teens -- some violence. I read this book and then Desiree (9) read it after me. There are two stories that take place 50 years apart in this book -- one told through pictures and one through words. Aimed at pre-teens. This novel is the second in a series and is set during the 1940's. Themes include mistaken identity, war, family secrets and forbidden love. Some language. 12 year old Kip spends the summer with his grandma and 5 girl cousins while his mom and step dad are on their honeymoon. Themes include family secrets, finding out who you are and accepting others for who they are. Aimed at pre-teens. Harriet meets an interesting neighbour and tries to figure out the mystery in her nanny's life. Harriet is not as quirky and complex as in the original book (and the same goes for Ole Golly) so fans may be disappointed. Aimed at pre-teens. I thought this book was awesome when I was young, but re-reading it now made me realize I don't want my 9 year old to read it just yet. Harriet spies on her neighbours and friends and says things you would be ashamed to admit to thinking. Aimed at pre-teens. I have heard some say that the books are thought provoking, but there were opportunities for Katniss to be reflective that were overlooked by the author -- especially in book three. In my opinion it's mindless violence with minor ethics (that are barely addressed in the novels themselves). Aimed at pre-teens and teens. This book is about "all the wonderful ways you delude yourself every day". Procrastination, the need for order in a chaotic world and sticking to first impressions are all topics discussed. Experiments are used to highlight how unaware and irrational we really are. Set in the Appalachian mountains in the 1850's, this novel is about the Welsh immigrants and their tradition of having a sin eater to rid them of their sins when they die. 10 year old Cadi seeks redemption and ultimately uncovers the dark secrets her community has kept hidden for decades. These books tell the story of a young girl during the 1940s and how her family adapts to life in Canada after immigrating during the war. Aimed at pre-teens. Set in Ethiopia, this novel focuses on themes such as betrayal, healing and love and the significant effect our choices have on others and on our future. I found this novel difficult to get into, but it was more manageable after the first couple chapters. R rated. This book tells of the true events that inspired the movie "The Vow". Shortly after their marriage, Kim and Krickitt were in a car accident that left Krickitt with no memory of the man she loved so much. Themes include faith in God in the midst of trials and unconditional love. (I recommend you read the book and skip the movie). This novel tells the story of two sisters and their emotionally absent mom. Themes include family relationships, secrets and war-torn Leningrad. I like stories that unfold naturally more than ones that hint of a revealing to come. 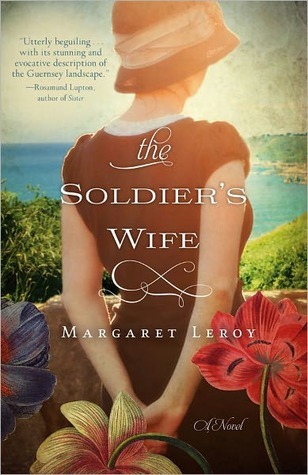 Set in Guernsey during World War II, this book tells the story of a woman who cares for her daughters and her mother in law while her husband is away at war. The Occupation affects the whole family in different ways. Themes include love and the dilemmas of war. Some language. After reading Room, I found this book about Jaycee Dugard's real life kidnapping. There is some R rated language and mature content introduced in the second chapter, but the rest of the book is not as descriptive. Jaycee has an amazing outlook on life despite all she and her daughters have been through. This book Biblically refutes William P. Young's The Shack which has gained popularity among Christians and non-Christians alike. Topics such as polytheism, heresy and the "Emerging church" are addressed. An article at Insight for Living also highlights a lot of my concerns with the book The Shack. 39 year old Alice loses 10 years of her life after a bump on the head and finds that life is very different for her '29' year old self. Themes including sibling relationships, marital relationships, amnesia and infertility. Another Mandie series book aimed at pre-teens. If you want to, check out the Books I Read in 2011. I've read Francine Rivers "The Last Sin Eater" was wonderful. I really admire her work. Tammy, I really liked the book too. Have you ever read (or seen the TV series) "Christy" written by Catherine Marshall? It's set in the Appalachian mountains too. I recommend it!